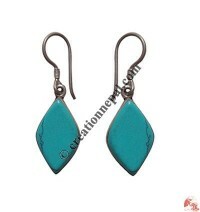 The ear rings offered in this category represents the great art-work of the Nepalese and Tibetan artisans. The beautifully hand carved patterns of buffalo bone rings shows the auspicious signs and the natural artwork. 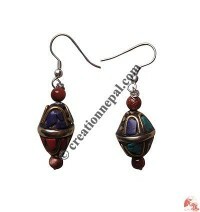 Similarly the Tibetan design amber beads and the silver coated decorative used on the rings add the beauty and uniqueness of the rings. 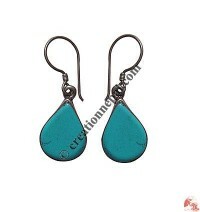 The hooks used to make the earrings are made out of sterling silver that suits even for the sensitive skin people. 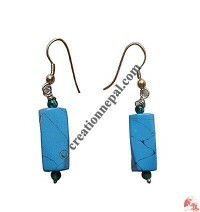 Buy Nepalese handmade earrings online at Creation Nepal ! 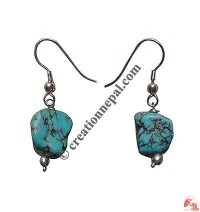 Creation Nepal offer beautiful handmade earrings at wholesale price online. 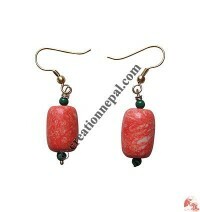 Tibetan and Nepali style beads earrings are available in different colors and designs. 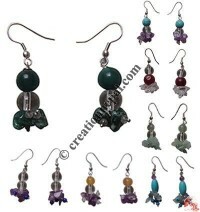 Find the great collection of beads ear rings, handmade ear rings, handmade jewelry, beads and silk ear rings, Amber beads ear ring, turquoise ear ring, Coral ear ring, assorted beads ear ring, amber beads ear ring and decorated beads earring.